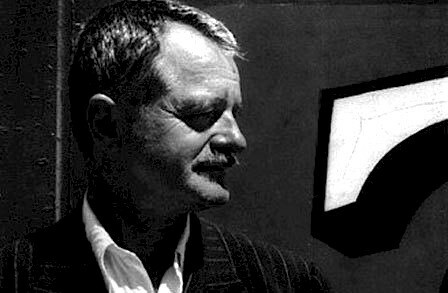 The following is an essay Kevin Gallagher wrote to introduce an extensive feature on the life and poetry of Kenneth Rexroth. The contents of the feature can be found on the main page of Jacket #23. Now that his Complete Poems are laid out for all of us to see, we have no choice but to make room for Kenneth Rexroth in the canon. This special Jacket tribute celebrates the work of this great poet, essayist, translator and activist from the United States. Rexroth’s poetry was not well understood during his lifetime. Born in 1905 in South Bend, Indiana, he moved to California in the late 1920s and remained there for the rest of his life. It was in California where he emceed the famous “Six Flags” reading that earned him the name, “the father of the Beats.” Rexroth hated such a tag and was known for replying “an entomologist is not a bug!” First off in this selection is Sam Hamill’s introduction to the entomologist’s new collected poems and gives new and old readers alike a snapshot of the life and work of the Kenneth Rexroth the poet. Contrary to the popular label thrust on him, Kenneth Rexroth was a late modern poet, one of the early post-modern poets, and toward the end of his life (which ended in 1982) became an eastern classicist. Regardless of the form his poetry took, it always involved at least one of three themes: love, the natural world, or politics. Early in Rexroth’s career, Louis Zukofsky included him in both the special Objectivist issue of Poetry, and in the famous Objectivist Anthology (though Rexroth considered himself a cubist rather than an objectivist).